Ted offers a bigger perspective that often gets lost in our digital-obsessed world. We think social media is the key to more sales and customers, but it really comes down to the fact that the internet has given people a way to find commonalities between each other and connect in a way that wasn’t possible before. Once you have your story ready, you need to identify your influencers. Your influencers are people who have an interest in you, and who are willing to share your story with their followers. Their followers see them as credible experts on a given topic. So, the next step is to give your influencers as many opportunities as you can for them to share your story! In the podcast, Ted talks about how Bissel knew that their vacuums cleaned up small lego pieces really well. Who cleans up small lego pieces? Parents! So he identified an opportunity for Bissel to be where the parents were: a giant lego-building event for kids. He sent people in Bissel t-shirts to vacuum up lego pieces that had flown outside of the play area. Then, they would empty the vacuum pieces back into the play area right in front of the parents. Boom. The influencer parents made the connection: Bissel vacuums are great for cleaning up legos. That’s the story they share! Out of 30,000 parents that attended, about 3,000 were likely to be influencers. What a great way to reach the influencers where they are! 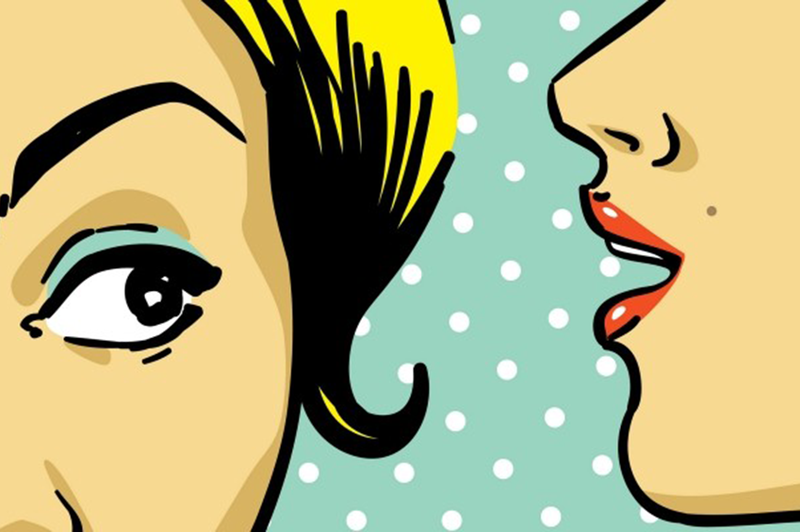 So, how do beauty brands use word-of-mouth marketing? You already know. Brands who connect with influencers are smart. They are using the influencers to gain the trust of consumers, and making more money doing it! According to a McKinsey Study, marketing-inspired word-of-mouth generates more than twice the sales of paid advertising, and these customers have a 37% higher retention rate. This stat comes from the ODM group, and is a telltale sign of how significantly technology is impacting consumer behavior through unlimited information to product data and fellow customers’ experiences. How can a brand have a voice in all the user content and feedback that surrounds their products? I’ll give you three guesses but you only need one: influencer marketing. As per Nielsen, this stat clearly shows that, for brands to reach consumers in the current reality, they need the help of influencers. Consumers have begun to tune out traditional ads, and increasingly connect to their social networks to guide buying decisions. Influencer marketing has proven so successful that there are companies that will provide influencers for your business. These include: Brand Backer, Socialyte, and Style Coalition. …thinking that the speed of word-of-mouth or social media will be the same as broadcast. Broadcast’s ability to actually move markets is not what it used to be. For some media, it’s not working at all, which is why newspapers are either going out of business or are much smaller. Ads don’t work anymore. Marketers need to be up front with client leadership, and let them know how much time word-of-mouth marketing takes and why. Ted says word-of-mouth marketing campaigns will see movement in the first 10 weeks and significant movement in the first 30 weeks. Plus, an entire year’s worth of word-of-mouth marketing covering the whole country costs less than one flight of television ad buying time for one network show. The beauty industry has taken advantage of influencers, but I think there is still so much word-of-mouth marketing that can be done offline. Like Ted Wright said, this is the age of conversation. I think it would be really cool if a beauty brand decided to do WOM marketing IRL like PBR did with Fizz. Listen to the podcast. You’ll be inspired to start your own WOM campaign.